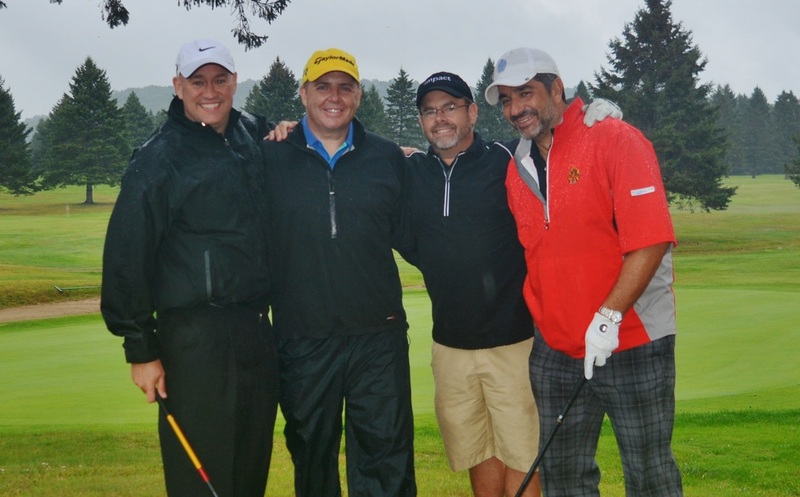 Once again we are pleased to announce our 31st Annual Golf Tournament benefitting Camp Caritas to be held on Saturday, September 7th, 2019 at Club de Golf de L'Epiphanie located just 45" from Montreal. Tickets must be purchased in advance and registration will begin at 10:00 AM, “shotgun” start at 12:30 pm (Note: proper golf attire is required). With your help, Camp Caritas will provide boys aged 12 to 17 with a 14 day experience where positive values, such as integrity, respect, and leadership are put into practice through participation in a variety of sports activities. Come and join us for an optional buffet breakfast ($13.00, tax and tip included), then a round of golf and dinner (cart included) for $180. A snack station will be on the course serving food and beverages (alcoholic and non-alcoholic) for your convenience. If golf is not your thing, you can also support Camp Caritas by joining us for a fun filled dinner for $75 where you can also participate in the Silent Auction and Raffles for many exciting prizes such as hockey tickets, restaurant gift certificates, airline tickets and more! Sign up for golf or just dinner tickets under the Golf Tournament - "Online Registration" tab. A Bus service is available leaving Holy Family at 4:00 PM (arrive for 3:45 PM). and returning to Holy Family at 10:30 PM for only $10! Club de Golf de L'Epiphanie is situated northeast of Montreal just 30" from Laval and 45" from Montreal. See our various sponsorship options from Bronze to Gold in the drop-down menu under "Golf Tournament - Corporate Sponsorship". To make a gift donation for the raffle, silent auction, or door prize please email or contact one of our committee members. Your gifts and donations make the tournament a wonderful success every year and are so appreciated. Our committee is proud to report that, outside of operating expenses totalling less than $400, all the net proceeds go to Father John Baxter's Camp Caritas, which is celebrating its 46th year serving the youth. We are so committed to achieving our goal that, as a matter of pride and tradition, everyone who attends the tournament, including volunteers and committee members, must pay the full price to attend the event. In the last eight years, over $330,000 has been raised for the benefit of Camp Caritas. Once again we appeal to your generosity to reach this year’s fundraising objective set at $40,000. Reaching this objective will allow us to maintain the current camp (2 weeks, all included) fees at $500, a level affordable to all participants. We need your support to ensure the continued success of this valuable program. A Tax receipt will be provided for all donations over $20.